A non-refundable credit card deposit of $100 USD is due upon registration and will be refunded if you are not accepted into this program for any reason. The remainder of the contribution will be paid in cash on the first day of the program. Please review our refund policy on the event overview page. Date & Time Details: We will be meeting at 5pm on May 11 to begin our journey and will close our circle at around 5pm on May 14th. Inside all of us, an original primordial state of peaceful loving kindness is always present, existing on the level of cellular memory. When we look deeply, beyond the veil of matter and mind, this state and the universal truth that accompany it are discovered to be embedded within us all. Given the psychosomatic sources of tension and disease, it is clear that an embodied practice is necessary for the process of transformation in order to re-integrate this state. 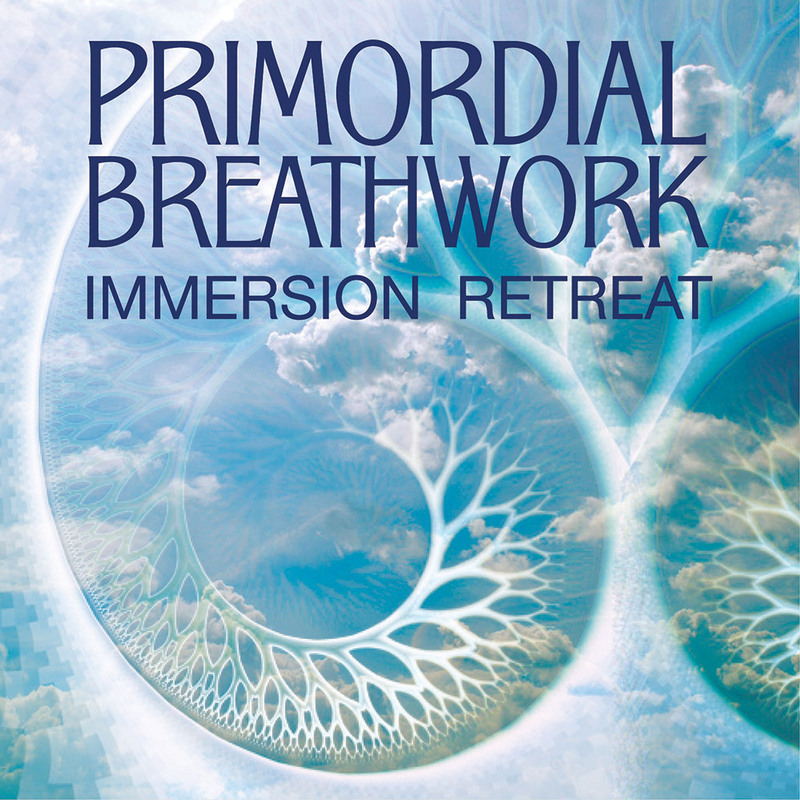 In this retreat, we will be catalyzing the primordial state of being through Primordial Breathwork, Qigong, Meditation, Creative/Artistic Expression, Music and Immersion in Nature. 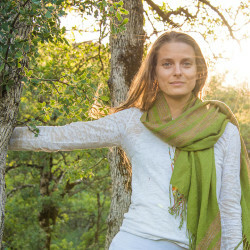 Each day of the retreat we will engage in a unique and cathartic breathwork practice which blends Amazonian and Tibetan traditions together. This practice is often a deeply meditative, heart activating and transpersonal experience that revives the cellular memory of the whole organism and brings aspects of the past to the surface to be remembered and healed. Everyday we will go deeper into the breathwork, practicing for longer sets of time and integrating ceremonial cacao with the practice to enhance the body’s energy flow. After each session integration will involve sharing circles, immersion in nature and creative expression of many forms (painting, dancing and music). This is a multidimensional experience, encompassing many facets of our being. It is very helpful for the reactivation of our energetic chakra vortexes to their natural, higher vibrational frequencies. The practice also aids in the location and elimination of psychosomatic sources of disease, tensions, inhibitions and repressed emotions. It employs an ancient, cathartic, healing breath, activating and purifying our emotional memory at the cellular level. 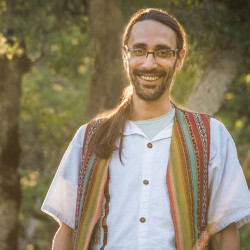 This ancient practice is similar in some ways to the more recently developed methods, including the Rebirthing method developed by Leonard Ore, and Holotrophic Breathwork, brought forward by Stanislav Groff. However, this practice is rooted in a more shamanic perspective that is reﬂected in both Tibetan and Amazonian cultures. The distinct beneﬁt of this speciﬁc practice is the tribal synchronization of the breath via awareness, sound, drumbeat and cyclical rhythm, which ultimately reveals the pulse of life force in nature as an infinitely diverse and uniﬁed consciousness. The cosmology and the theoretical background of this practice relates to the hero’s conscious journey towards the original primordial state of blissful divine union, as mirrored in ancient cultures and spiritual traditions from around the world. That original state is recognized to be the source of all creative potential and a fundamentally vital element in evolutionary healing. During most breathwork our sessions, we initiate the space by offering participants ceremonial cacao. Cacao is a powerful plant medicine that can increase blood supply to the brain, help to facilitate deeper energetic and emotional release, and increase connection to energy ﬂow and heart space. In this way the cacao supports us in deepening the journey with the breathwork. Intake of cacao is optional. If you are taking any pharmaceutical medications or have a history of mental illness, a heart condition, or are pregnant, it is important to notify us in the registration form so we can support all participants to approach the practices in a safe way. Healthy organic vegan food will be included. Option 2: Outdoor camping in your personal tent in a beautiful Colorado mountains. Again, please bring everything you will need to be comfortable. Your deposit is non-refundable but if you cancel within 6 weeks of the program start date, we can transfer your deposit to a future program minus a 10% admin fee.